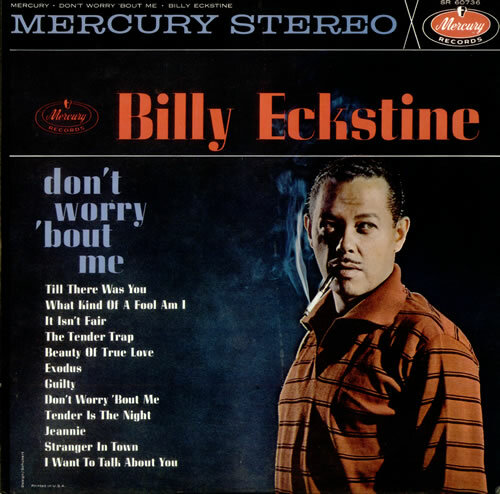 BILLY ECKSTINE Don't Worry 'bout Me (1962 US 12-track STEREO LP, front laminated pasted picture sleeve. The sleeve shows very little shelfwear & the vinyl too is in great condition with just a few visible surface marks which, thanks to the quality pressing, are mostly cosmetic although there may be the odd click. A nice copy of this great early stereo album at a great price SR60736).